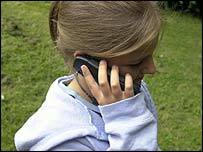 Results from a major research programme probing mobile phone technology safety will be announced on Wednesday. The Mobile Telecommunications and Health Research Programme (MTHR) has received £8.8m in funding from the government and communications industry. It has carried out 28 separate studies into the health impact of mobile phones, masts and base stations. These include looking at the impact on childhood cancer, brain tumours, blood pressure and general brain function. There are now 70 million mobile phone handsets in the UK, and around 50 thousand masts. The MTHR programme was established following publication of an independent government-commissioned report into the safety of mobile phones in 2000. Many other studies have also been carried out - with mixed results. These include a major 2006 study by the Danish Institute of Cancer Epidemiology of more than 420,000 mobile phone users, which found no evidence that mobile phone use was linked to an increased risk of cancer. Earlier this year, the idea that mobile phone masts can trigger symptoms such as anxiety, nausea and tiredness in sensitive individuals was dismissed by a study led by the University of Essex. But a US study found heavy use of mobile phones may damage men's fertility. Scientists in Finland carried out tests suggesting electromagnetic radiation affects human brain tissue.